Rejuvenator Anti-Fatigue Mats are designed to reduce employee fatigue caused by standing for long periods of time during the working day. Standing on hard floors for prolonged periods greatly increases the risk of a number of health issues including joint pain, back pain, circulatory complications, heart problems and general muscular fatigue. Envirosafe Ireland provides a variety of Anti-Fatigue Mats which provide a solution to productivity robbing fatigue for employees who are required to stand for long periods of time during their working day. 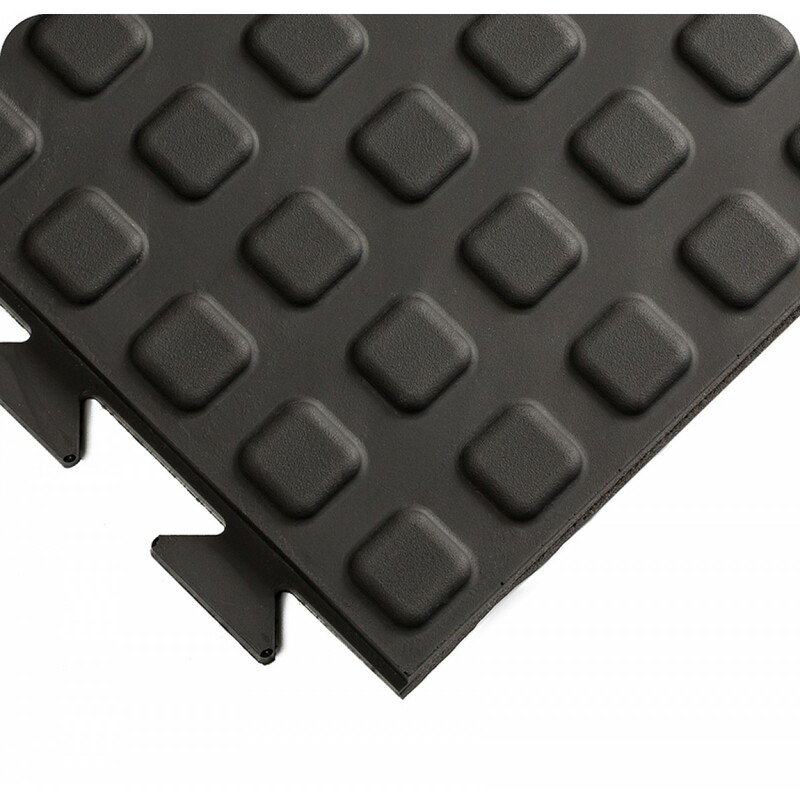 Our Anti-Fatigue Mats are used in both Commercial and Industrial work environments and are designed to make employees more comfortable in their job and therefore providing a happier, healthier and more productive working environment. Rejuvenator Flooring with domed (or “bubble”) design, features large 3’x3′ (91 cm x 91 cm) and 1’x3′ (30 cm x 91 cm) tiles as well– that interlock on all 4 sides to customize on-site virtually any flooring configuration. The interlock is incredibly effective–and also hidden–so the ergonomic floor you’ve created is seamless and stable underfoot. 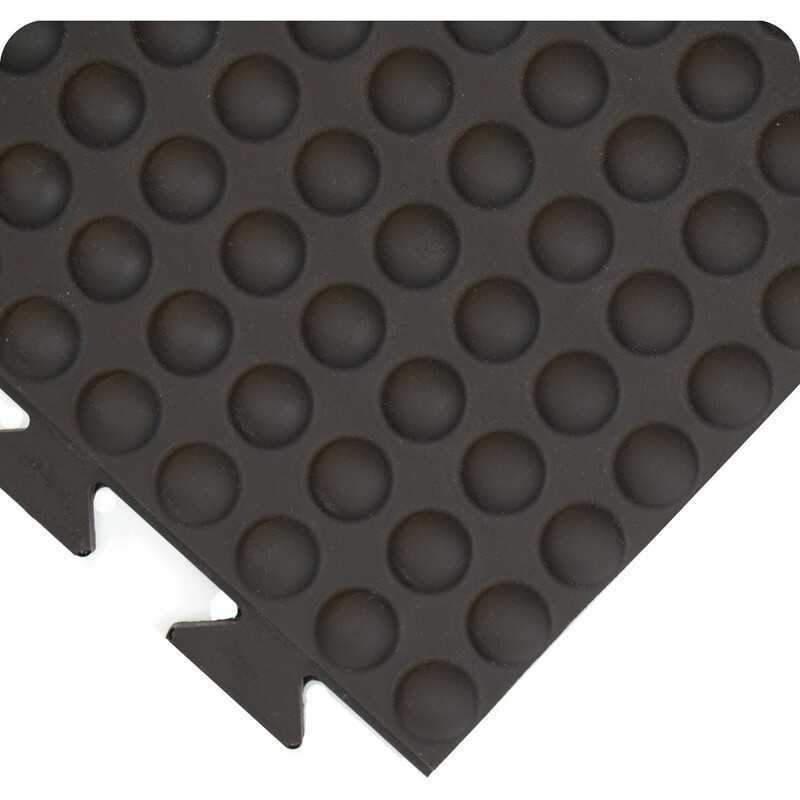 Having the ability to customize in 1 foot (30 cm) increments and finish off with beveled ramps [yellow or black] sets these Anti Fatigue Mats apart from all other urethane “wannabees”. Rejuvenator Runners with domed (or “bubble”) design give you the option to create 2′ (61 cm) and 3′ (91 cm) wide runs of ergonomic matting…while matching the same clean aesthetic! Our 2’x5′ (61 cm x 152 cm) and 3’x5′ (91 cm x 152 cm) mats are available in Ends and Centers, so you choose the length of run you want. The molded-in ramps reduce installation time and costs because there is no edging to attach. It’s all there, ready to go! and proves the adage: often, the simplest solution is the best one. 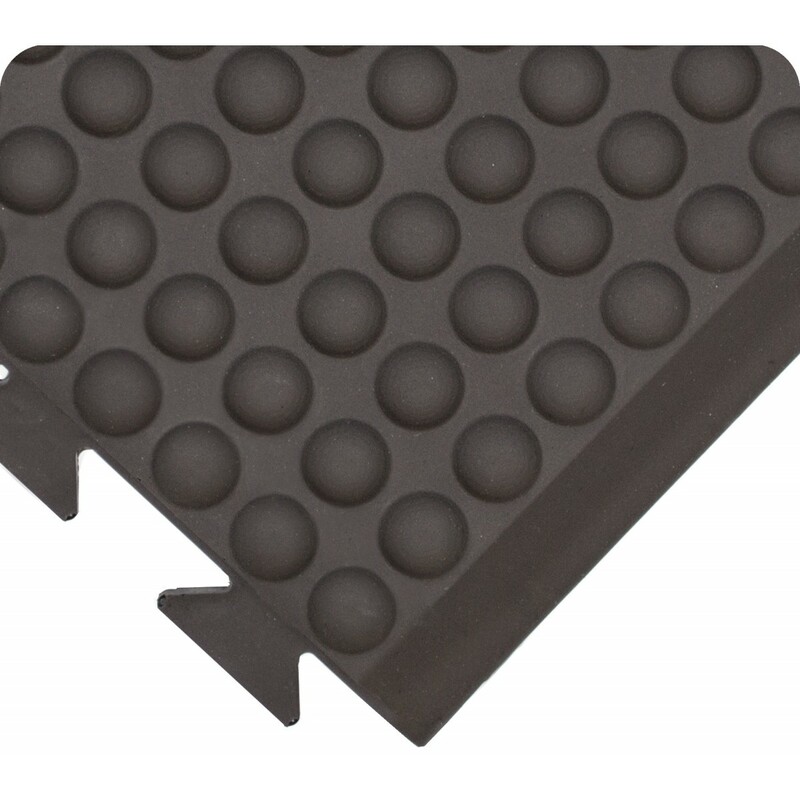 Rejuvenator Work Station Mats with domed (or “bubble”) design provide an out-of-the-box anti-fatigue solution for workers who spend most of their shift standing at one station. Molded ramps on all 4 sides ensure safe on-off access. Same awesome aesthetics as all other Rejuvenator products, so your facility looks clean and consistent. Rejuvenator Flooring features large 3’x3′ (91 cm x 91 cm) and 1’x3′ (30 cm x 91 cm) tiles that interlock on all 4 sides to customize on-site virtually any flooring configuration. The interlock is incredibly effective–and also hidden–so the ergonomic floor you’ve created is seamless and stable underfoot. 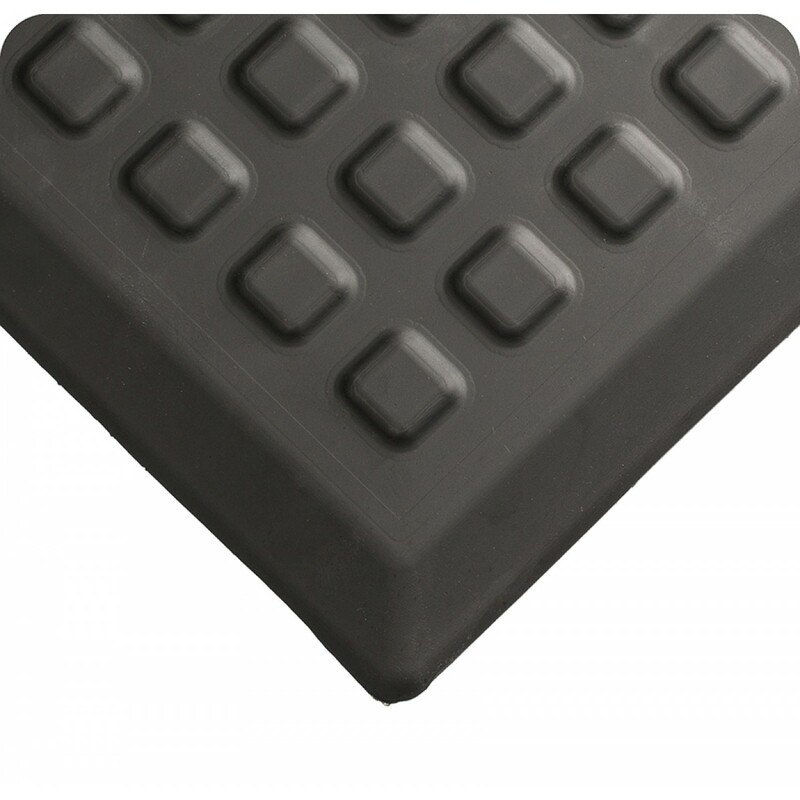 Having the ability to customize in 1 foot (30 cm) increments and finish off with beveled ramps [yellow or black] sets these Anti Fatigue Mats apart from all other urethane “wannabees”. Rejuvenator Runners give you the option to create 2′ (61 cm) and 3′ (91 cm) wide runs of ergonomic matting…while matching the same clean aesthetic! Our 2’x5′ (61 cm x 152 cm) and 3’x5′ (91 cm x 152 cm) mats are available in Ends and Centers, so you choose the length of run you want. The molded-in ramps reduce installation time and costs because there is no edging to attach. It’s all there, ready to go! and proves the adage: often, the simplest solution is the best one. 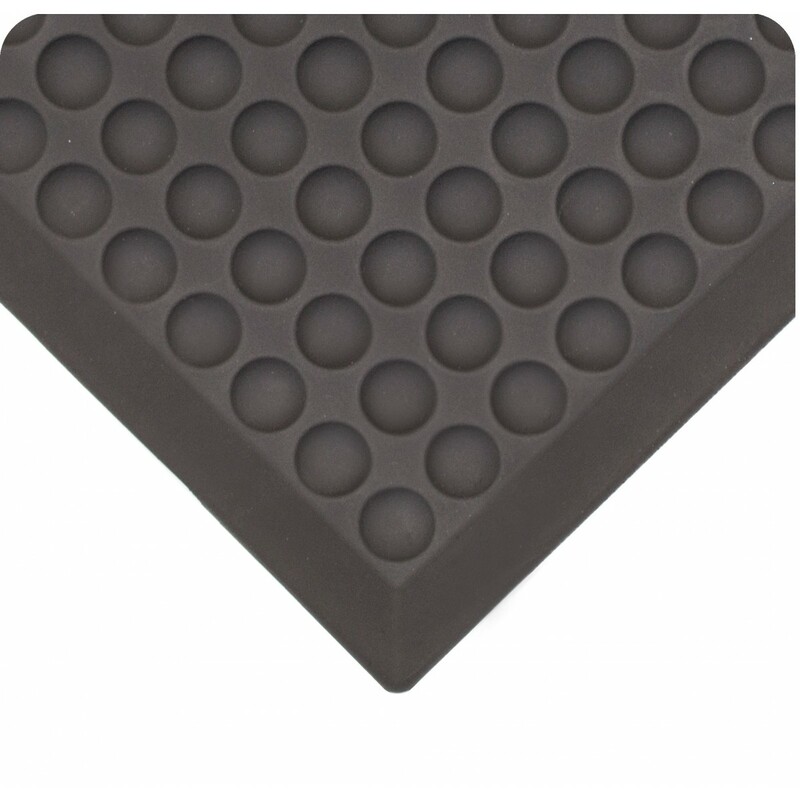 Rejuvenator WorkStation Mats provide an out-of-the-box anti-fatigue solution for workers who spend most of their shift standing at one station. Molded ramps on all 4 sides ensure safe on-off access. Same awesome aesthetics as all other Rejuvenator squared products, so your facility looks clean and consistent.